When I became aware of the First Noble Truth in Buddhism: we all suffer – my paradigm shifted. Becoming intimate with the truth that life is hard freed me up to put my energy into compassion instead of self blame. I began to understand the complexity of being human on a planet in crisis. I put my energy into social change and the practice of staying awake in the deadening routines of the mundane and the numbing force of consumerism. Now, I spend my time culture changing. The First Noble Truth: we all suffer – was the portal to my liberation. Buddhism is a powerful spiritual perspective for healing. I found Buddhism through therapy 17 years ago. My therapist was not overt about being Buddhist, but her work with me led me to find the practice for myself forever changing my life. I understand Buddhism less as a religion and more of a perspective or practice. What it offered me at the time I stumbled upon it was a way to understand that I am not my thoughts, reactions or feelings. I had no perspective or awareness to help me ground in the face of overwhelming thoughts and feelings – many of which were filled with self hate and insecurity. 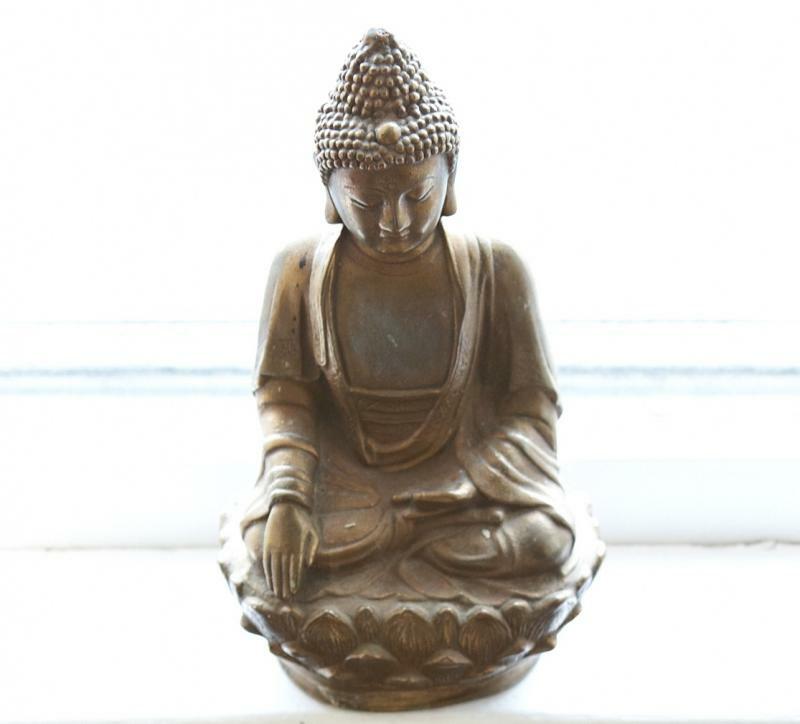 Buddhism offered awareness – a perspective laden with kindness for myself and others. Buddhism also offered a language of compassion that was not part of my reality. The practice invited me into holding myself differently – with an empathy that understood the context of why I was filled with self hatred and insecurity. For the first time in my life, I touched peace and a deep undying love for myself, both of which have become my calling in life. Conventional thought about emotions is that they need to be medicated, managed or overcome. This sets up a dynamic of dominance with our inner experience. We can change our relationship to emotions by considering them information and guideposts helping us navigate the world. In other words, they are allies. Emotions tell us when we are safe, when we need to let go and when we need to set a boundary. Emotions get a bad wrap – thought of as a weakness or the opposite of logic. When the truth is: emotions inform our logic – they work together. When we are operating solely out of our emotional brain, it’s information that we are triggered. The pre-fontal cortex or logical brain is off line and the flight/fight/freeze response is activated. When paired, logic provides the cognitive context of our emotional experience, and emotions – the feelings about our cognitions. If we are conditioned to think about emotions as weak, then we reject our inner experience leaving us without valuable information about our reality. If we operate solely through logic, we are missing a whole dimension of information. Logic is what robots are trained to perform. The combination of logic and emotion is uniquely human. I spent years rejecting my inner experience leaving me feeling crazy. I was acculturated to think that I was overly sensitive instead of taught to navigate the feelings I was having and use them to understand myself. How we relate to our emotions is both a product of our larger culture and our family of origin. When we manage or try to overcome our emotions, we are not honoring their essential energetic nature – to move through us freely. The language we use to talk about anger is telling of a larger cultural understanding of it. The idea of managing anger invokes a top down relationship of control over an errant miscreant. Shame is inherent to this top down approach as it implies that we are bad for experiencing anger when in fact, anger is so important in informing us that something needs protection, restoration and even that a boundary needs to be set. Karla McLaren, in her book The Language of Emotions, says: “If I were to personify anger, I would describe it as a mix between a stalwart castle sentry and an ancient sage.” (p.167) Stuck anger, however, can come out sideways as passive aggression, which has the capacity to do a lot of damage. Both anger and sadness get pigeon holed as “bad” emotions. People say, “I am so out of control” or, “What’s wrong with me, I am so sad.” When we hold up happiness as the goal, the rest of the emotions get shunted to the back of the bus. Pema Chodron speaks to the idea that happiness is the capacity to feel the full range of emotional experience. When we come into relationship with our inner experience with an attitude of kindness and curiosity, we can learn to shift our relationship to emotions. If we listen to their wisdom we can gain insight about what we need to thrive. But you might ask, what do I do with emotions when they arise. The first step is to notice what’s coming up and from there make psychic space for whatever is present. When an emotion is listened to and seen, the force and the quality of the emotion shifts. It no longer needs to bang down the door. If the door is open, it can rest and its inherent wisdom becomes clear. After we connect to the truth of that emotional experience, we can move the emotion. Allowing our emotions to move through us freely is not reacting or repressing an emotion, but channeling it so that it serves our highest good. The latin root of emotion is “movere” or to move. McLaren shares that sadness serves to help us release pain. When emotions get stuck, depression or pressed down energy, begins to brew and percolate leaking our precious life force and causing dis-ease. Learning how to channel our emotions is essential to vitality and health. As a fellow, humble human on this journey of becoming more fully human, I find myself working with resistance quite frequently. For me, it shows up as judgment, irritability and fear. Some resistance is useful – it contains information and wisdom that maybe we are burnt out or our current situation is not serving us. Some resistance, however, is habitual. Habitual resistance often locates itself in the body as an armor born out of survival. This muscular, skeletal and/or fascial armoring can leave us stuck in old ways of reacting and old beliefs. When we stop and listen to the felt sense (see my next blog for more information on felt sense), we can glean a whole new perspective on all that resistance offer us.